Rye Brook, NY – May 3, 2017 – The nation’s leading experts on blood cancers and healthcare policy convened yesterday in Washington, D.C. to discuss the ever-increasing cost barriers that patients and their families face to access high-quality care, as well as discuss cutting-edge blood cancer research and treatments. The event was organized by The Leukemia & Lymphoma Society (LLS), the world’s largest voluntary health organization dedicated to funding research, finding cures and ensuring access to treatments for blood cancer patients. 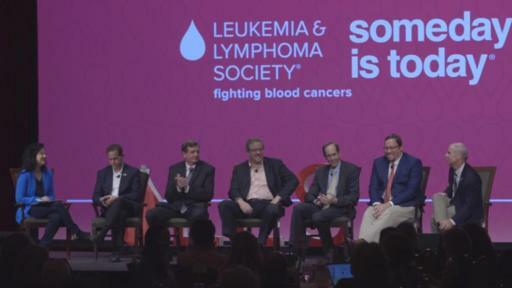 In conjunction with the event, LLS issued its Report to the Nation: Leading the Way to Cancer Cures, a comprehensive overview on the major scientific, treatment and policy advances of the last 68 years that have impacted blood cancer patients, including new treatments—many funded through LLS’s support—that are now helping patients with other cancers and chronic diseases. While extraordinary progress is being made for blood cancer patients, more than one-third of patients still do not survive five years after their diagnosis. Approximately every three minutes, a person in the United States is diagnosed with a blood cancer; every nine minutes, someone dies from it. The death rate from certain blood cancers such as acute myeloid leukemia (AML) remains high, and some treatment protocols have not changed in decades. Moreover, patients are bearing more of the financial burden, paying increasingly larger portions out of their own pockets for their cancer care. 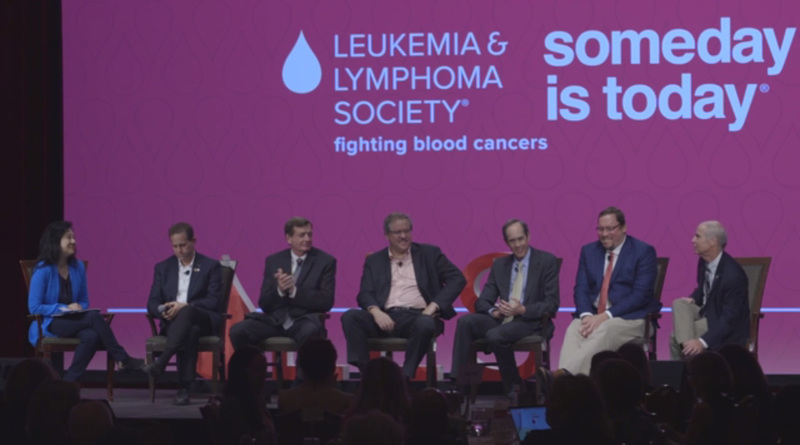 To explore the current and future successes and issues facing the blood cancer community, LLS convened two panel discussions, one on the financial burden of cancer care for patients and their families, followed by an examination of how new precision medicine and immunotherapy approaches are dramatically changing the cancer treatment landscape. Robin Yabroff, Ph.D., MBA, Senior Social Science Analyst, Office of Health Policy, Assistant Secretary for Planning and Evaluation, U.S. Department of Health and Human Services. 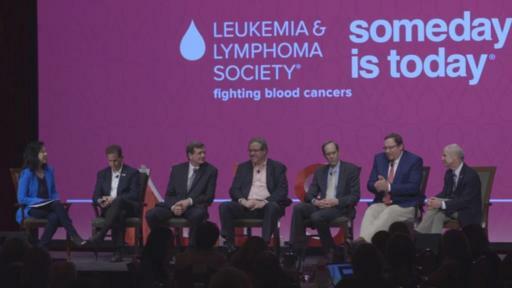 This timely discussion was kicked off by DeGennaro, who unveiled LLS’s bold new position statement and policy recommendations on the cost of cancer care, grounded in the principle that patients must have access to high-quality, affordable and stable care. 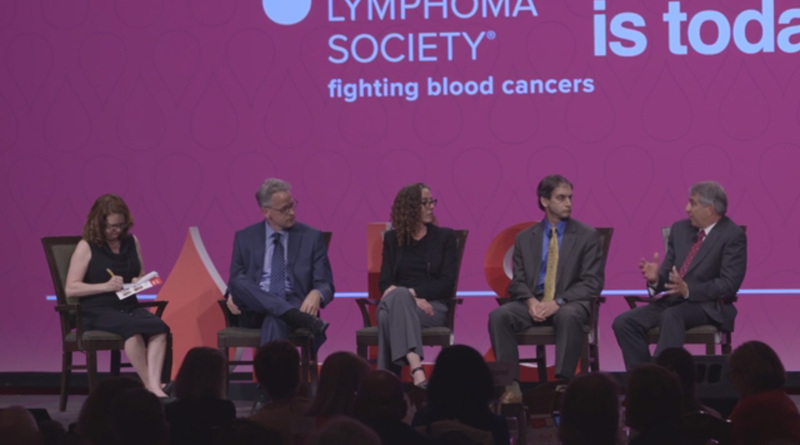 The panel discussed the multiple components that constitute the economic burden of cancer care, which goes beyond direct medical costs to include the impact on a patient’s employment, time spent traveling to receive necessary therapies as well as taking care of loved ones during a course of treatment. The assembled experts then stressed the need to discuss the cost of cancer care in terms of value for patients. Panelists also highlighted the need for transparency throughout the healthcare ecosystem, which applies to the prices of specialty drugs, as well as the importance for providers to have conversations about cost with their patients at the same time that they discuss treatment options. Yabroff, an expert in the financial toxicity of a cancer diagnosis, pointed out that 40% of cancer survivors between the ages of 40 and 64 have reported some kind of financial hardship. Douglas Olson, chronic lymphocytic leukemia survivor. The panelists discussed the rapid rate of new scientific discoveries and considered whether there would ever be a cure for cancer. The group addressed the exciting potential of targeted therapies and immunotherapies, such as CAR-T cell therapy, to change the paradigm of cancer treatment. 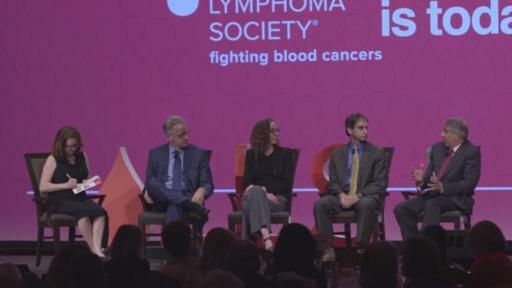 The panelists pointed to how much they now understand about these diseases but cautioned that as exciting as all of the new advances are, they are still in their infancy. “We have a whole lot of sophistication, understanding and trial and error left to go before we get the results that we think will ultimately deliver 100 percent response rates,” said Brentjens. 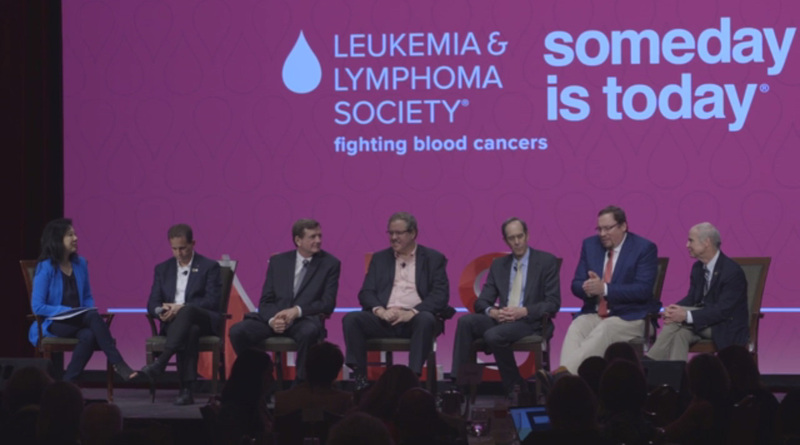 At the event, LLS issued its Report to the Nation: Leading the Way to Cancer Cures, a comprehensive report designed to educate the public about the state of blood cancers today, and highlighting LLS’s impact over its 68-year history. 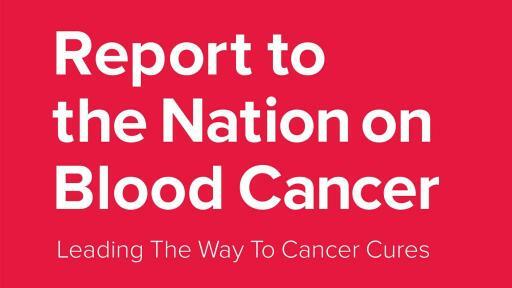 From scientific breakthroughs to policy and advocacy issues to the successes and challenges of finding blood cancer cures, the Report to the Nation is a useful resource for blood cancer patients and their families, as well as anyone with an interest in cancer. Patient stories are woven throughout the report and provide a glimpse into the impact that LLS is making on their lives, whether through free, highly specialized blood cancer information, education and support; advocacy and policy initiatives that help ensure they have access to quality, affordable and coordinated care; or LLS’s aggressive research agenda that identifies and funds the most promising blood cancer research projects and forges partnerships with academic institutions, biotechnology and pharmaceutical companies to accelerate the development of new therapies. The LLS Report to the Nation: Leading the Way to Cancer Cures is available free of charge and can be downloaded or printed from the LLS website: www.lls.org. Stacy Sager, president of SAGERSTRONG Foundation and widow of Craig Sager, beloved Turner Sports broadcaster and NBA sideline reporter who passed away in 2016 after a long battle with AML, attended the conference to announce with DeGennaro that LLS and SAGERSTRONG Foundation are teaming up to raise funds to fight blood cancers. The event was held during LLS’s Volunteer Leadership Conference and was attended by attended by hundreds of high impact volunteers high impact volunteers for LLS as well as influencers from the worlds of research, policy and media. A highlight of this gathering is Hill Day, when legions of volunteers climb the Capitol steps to meet with hundreds of legislators to advocate for policies and laws that enable blood cancer patients to have access to lifesaving treatments.